The Classic Cutter – simplicity . . . Definition of Hot wire foam cutter HWS-Easy! is – Simplicity. The HWS-Easy! cuts all standard polystyrene (EPS, XPS) slab sizes effectively, properly and easily. The hot wire foam cutter HWS-Easy! cutter can be used horizontally (e.g. on a stack of polystyrene slabs or some table), standing (e.g. using special stand base which is avaliable optionally), leaned against the wall or attached to the scaffold rail with the optionally available scaffold bracket. Just simplicity! The standard hot wire foam cutter HWS-Easy! model is available as a Classical table cutting device without additional accessories. The bow of hot wire foam cutter HWS-Easy! is made from aluminum profile and equipped with ball-bearing supported side elements, the base board is made from laminated wood and glued together. Basic kit of HWS-Easy! include: HWS-Easy! device, add. cutting wire, instruction manual, hooks for wire changing, small carrying bag for tools, 3m. tape-measure. The powerful transformer easily assembled on the device with four screws. 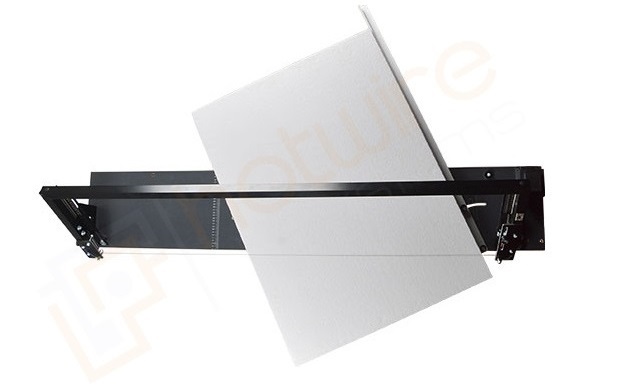 After electric connection of the transformer to the bow, using high-quality, splash-proof, XLR industrial plug connectors, Hot wire foam cutter HWS-Easy! is ready for action immediately. Protection class (IP) of transformer is 66. There is push-button and additionally ON-OFF switch on the bow for cutter activation. A small detail, but important in practice: Hot wire foam cutter HWS-Easy! is equipped with limit stop rider. It is allows You to lock cutters bow on stable position to make all possible stepper, mitre, along (in two) cuts etc. rapid and precise. The hot wire foam cutter HWS-Easy! 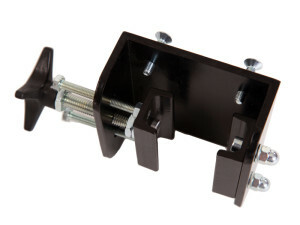 can be also easily and quickly replaced on building Scaffold with the special Scaffold Bracket. All what You need on the scaffold: Suspend device on the scaffold – Tighten screws – Ready for work. 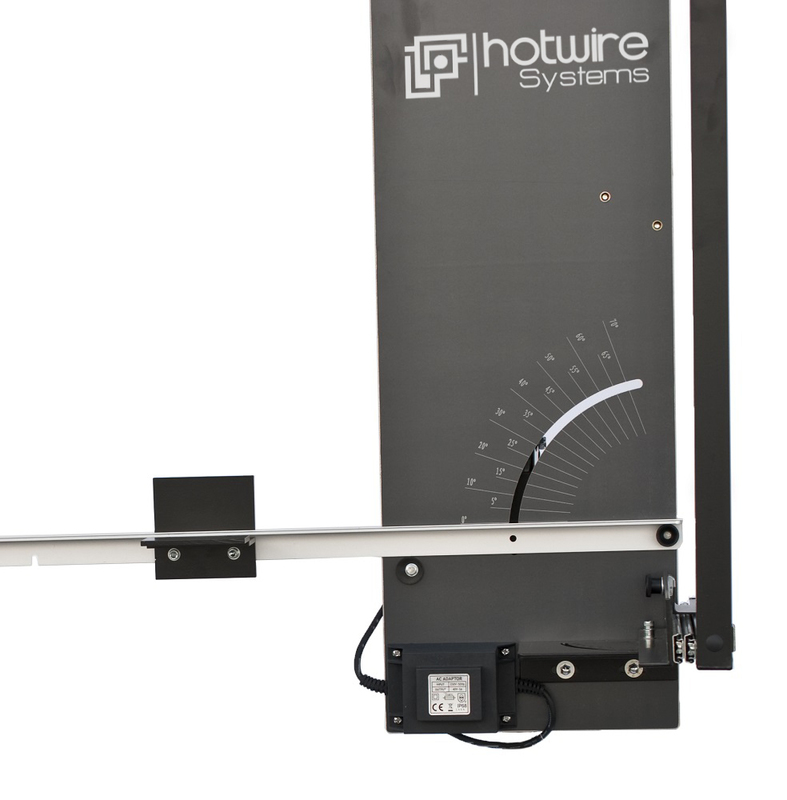 If You want to increases the possibilities of Hot wire foam cutter HWS-Easy! – the Stand Base is simply irreplaceable. The special Foldable Pedestal / Stand Base enables quick and uncomplicated placing the hot wire foam cutter standing. 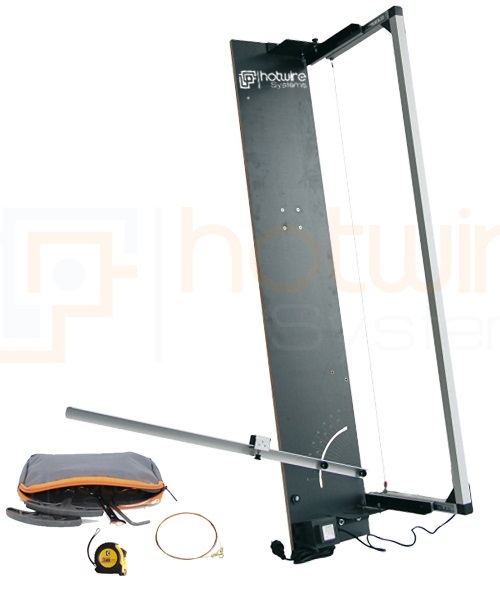 For Hot wire foam cutter HWS-Easy! we use Nichrome – NiCr wire. We offer ready-made versions of the cutting wire with two lugs on the ends for easy and quick installation on the cutter. 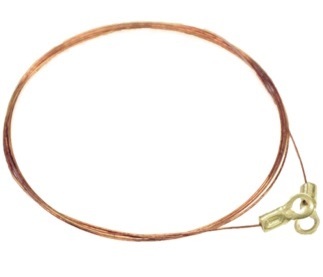 You can buy cutting wire by the piece (1 pc) or in large amounts (1kit = 10pc). Wire are always in stock and can be sent to the client immediately after the order confirmation. We sell and ship products all over the world! Our insulation cutting systems are sold in Europe and in many countries throughout the world from Finland, Sweden – to Turkey and Canada. Delivery times vary widely from country to country, they also depend on how effective your local postal services are. However, we have made an estimation of 2-5 working days for Europe countries: Latvia, Lithuania, Finland, Sweden, Norway, and 5-16 working days for other Europe countries (incl. Russia, Belarus, Ukraine, Kazakhstan). The estimated delivery time to major cities outside Europe (Asia, North America, South America, Australia) starts from 12 working days. Shipping costs are determined by the order’s size, weight, shipping method and delivery address. We calculate shipping price for each order individually. Pleasecontact us for more information! 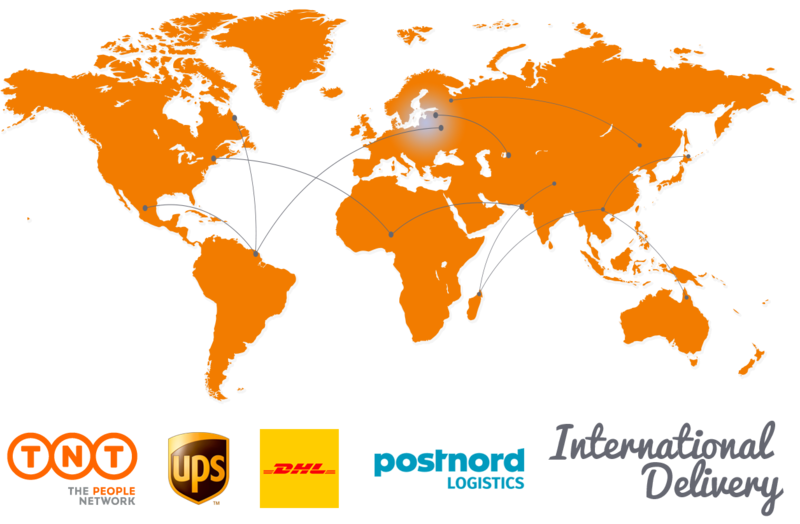 Our shipping partners are DPD, Omniva, Itella SmartPost, DHL, UPS.